Chennai Super Kings (CSK) and Kings XI Punjab (KXIP) have played 20 matches against each other; 19 matches in Indian Premier League (IPL) and 1 match in Champions League T20 (CLT20). In 18 matches in IPL, Chennai Super Kings have won 10 of them and Kings XI Punjab have won the remaining 8 matches. In the only encounter at CLT20 Chennai Super Kings defeated Kings XI Punjab by 65 runs. In last 5 matches between them, Chennai Super Kings have won 4 matches and Kings XI Punjab won only one match. 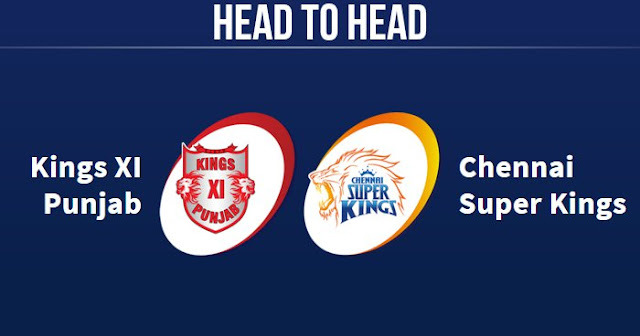 Chennai Super Kings and Kings XI Punjab will play their next match against each other in IPL 2019 on 6 April 2019 at M.A. Chidambaram Stadium, Chennai.